“This result shows how these widespread assumptions about consumers’ perceptions are questioned when tested with scientific research methods. 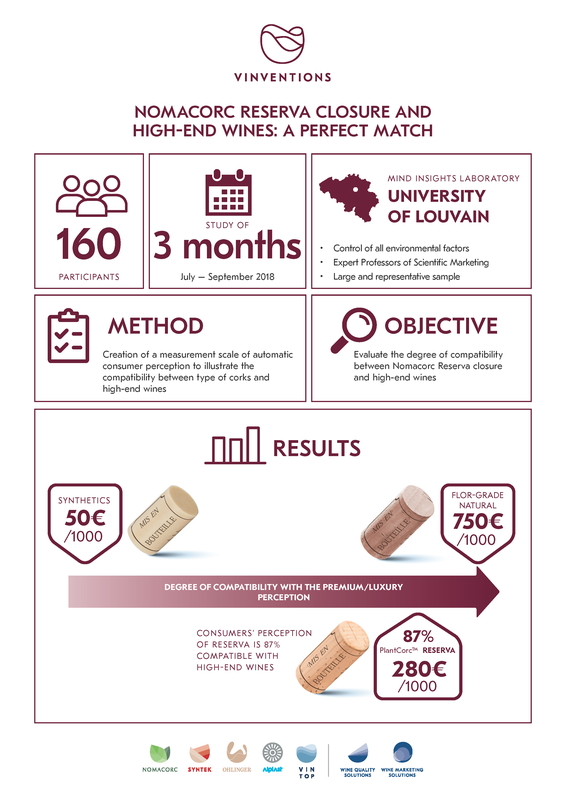 Mind Insights’ methods avoid self-report measures, in which consumers are explicitly asked to express their beliefs, or distorting consumers’ deliberate responses through social pressure and desirability effects,” says Romain Thomas, Wine Marketing Solutions Brand Manager at Vinventions. “The tendency to answer questions in a manner that respondents believe is expected or will be viewed favorably misleads results,” he adds. As a result, the research showed that most consumers associate Nomacorc PlantCorcs with high-end and luxury wines.